Bird flu research. 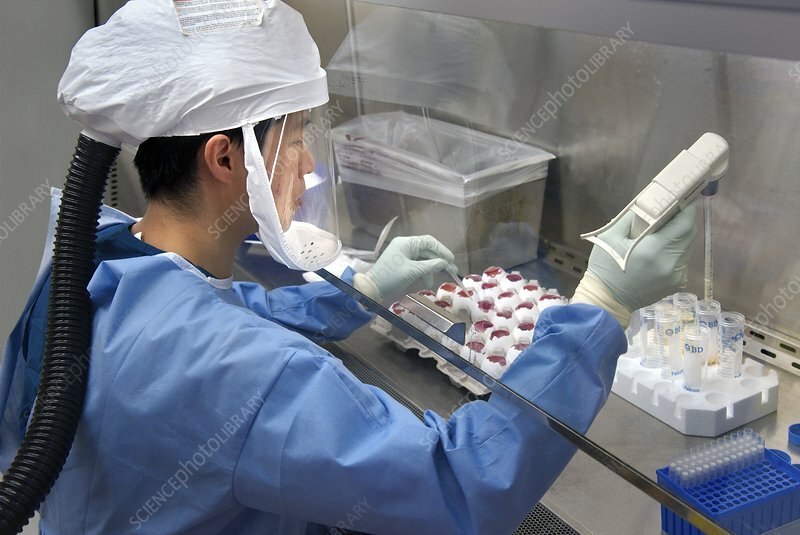 Researcher harvesting influenza type a H7N9 viruses from cultures grown in eggs. This virus first emerged in the human population in China, in March 2013. The natural hosts of the virus are wild birds. Unusually, infected domestic chickens do not show symptoms, which increases the potential for spread to humans that have contact with chickens. A fifth of human infections are proving to be fatal. As of May 2013 no human to human transmission has been recorded. The harvested viruses will be used for research into the virus and the production of vaccines against it.